The latest list of projects for Seattle Public Schools next capital construction levy, on the ballot in February 2019, might have looked different if the community hadn't spoken up. Seattle Public Schools officials say they’ve found a more equitable way to decide which school buildings will get the resources they need for upgrades. Their new process involves accounting for the number of low-income students and students of color each school serves, as well as how those students performed on state tests. The proof, they say, is in the most recent list of projects proposed for the district’s capital-construction levy, up for renewal by voters in February 2019. 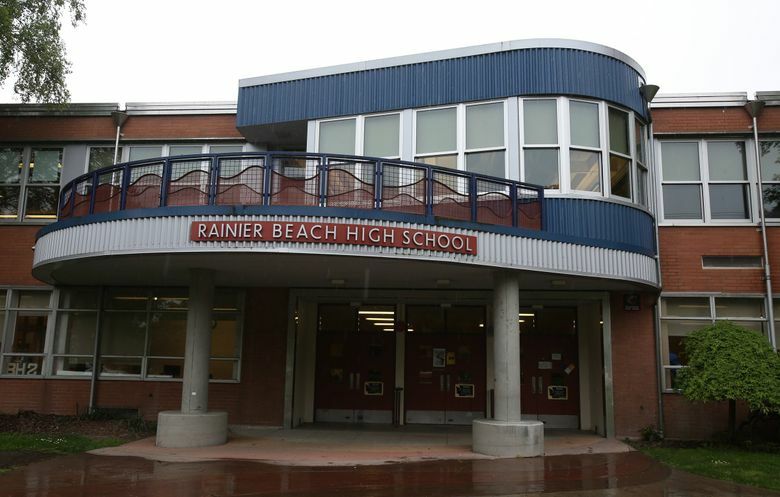 The list of items, totaling $1.4 billion, includes a long-awaited new building for Rainier Beach High School, technology improvements and small repairs to buildings and outside grounds for about 50 schools. Board members considered it at a meeting last week. Five of the 13 major construction projects, totaling nearly $435 million, are located south of Interstate 90, in the southeastern region of the city. The rest are scattered across west and north Seattle. The list might look different if the community hadn’t spoken up. Parents in Southeast Seattle recently criticized an equity scoring method, which places schools into one of four equity tiers. They pointed to Kimball Elementary in Beacon Hill, a diverse and high-need school, which received the same equity score as North Beach Elementary School, which is 74 percent white, KNKX radio station reported. Since 1995, Southeast Seattle, which is home to many of the city’s lower-income families, has received a smaller portion of capital -construction-levy funding compared with the city’s northeast and northwest neighborhoods, according to a recent district presentation. Board members asked the district to take a deeper look at the scoring method on Sept. 26. After their feedback, the district changed its methodology. After using the new scores as tiebreakers, it added Kimball Elementary School, John Rogers Elementary School, Aki Kurose Middle School and Sacajawea Elementary School to the queue. “We take these public work sessions really seriously, and we value the public weigh-in,” said Eric Anderson, the district’s director of research and evaluation. In a city stratified by race and income, deciding which school buildings get repairs and upgrades can become heated, with each neighborhood vying for a spot on the final project list presented to voters. Once a list of possible improvements was drawn up from a handful of third-party assessments of school buildings, each site was ranked according to a few factors, including student enrollment and building and safety conditions. To make sure the projects were distributed equitably around the city, district officials and School Board members tried something new this year. They added another factor — a composite score of how many low-income, immigrant, homeless, English-learning students each school serves — to help tip the scale. The most recent list of 13 major projects was narrowed from a larger list of 28. Once officials factored in the scores for each, they condensed the list based on whether they could find an interim site for new building construction and keep the total cost of the levy the same. But after they heard from parents, they altered the way they looked at scores, and by Wednesday’s work session, Kimball had jumped from 16th to fourth place on the list of major building priorities. The meeting materials included an explanation of the calculations, which the district originally used in its staffing adjustments that shifted more than two dozen teachers earlier this month. During a work session on the levy Wednesday, a few board members indicated the method could use some improvement. “I trust it gets us to where we want to get to, but are there ways we could be more intentional?” board member Zachary DeWolf asked. Parents and advocates said they were happy the district made the changes, but they said the explanations came too late to maintain community trust. Many were still puzzled by how the formula worked. Erin Okuno, the executive director of the Southeast Seattle Education Coalition, questioned why Asian and multiracial students were not factored into how many historically underserved students each school served, but were included in counts for low-income students of color. If the district separated Asian and multiracial students by ethnic group, “you’d see it’s not necessarily true that these groups perform better on the whole,” she said. To even the distribution further, the School Board members asked the district to add more small projects — fixes to heating and ventilation systems, playground repairs and window replacements — for schools that didn’t make it onto the major projects list. “That’s a bit of a consolation prize,” said Bao Ng, a parent of two students at Beacon Hill’s Maple Elementary School. She said the school needs an expansion, and it has some of the same issues as Kimball — too many students and few interior walls — making it so noisy that her children have a hard time focusing. She added that because parents at her school weren’t able to advocate as hard as others — many are low-income and don’t have the time to attend public meetings on the weekdays, she said — they weren’t able to secure a school expansion. The School Board will approval the final list of projects on Oct. 30.